Incidents in Alness involving young people over the past few weeks prompted police to step up patrols​ in the area. Ross-shire police have been tackling increasing incidents of anti-social behaviour by young people with letters, visits to their parents and warnings that matters could be escalated further. Residents of Dingwall, Muir of Ord and Conon Bridge have complained of an increase in vandalism, fire-raising, theft, food being thrown at cars and youths gathering in large, intimidating groups. 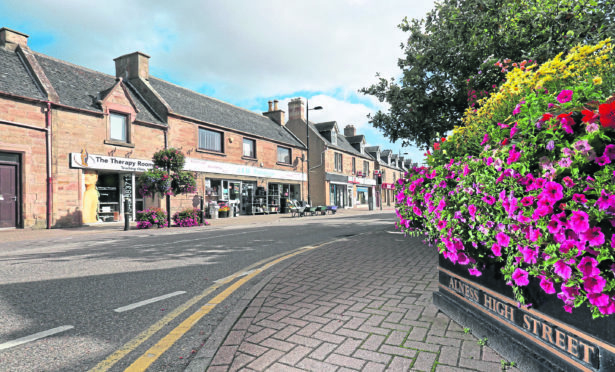 In Alness incidents involving youths in the town over the past few weeks prompted police to step up their patrols. Parents of children involved have now received police letters and visits from officers. Community Policing Inspector for Easter Ross and Sutherland, Jamie Wilson warned that those involved will be reported to the Procurator Fiscal or issued with a Recorded Police Warning as appropriate. He said: “I appreciate that behaviour of this nature is alarming, however I would like to reassure local residents that we are working closely with schools, Highlife Highland and partners to reduce and prevent further anti-social behaviour in the longer term. Chief Inspector Iain MacLelland, north area commander, said officers have had ‘positive and constructive’ discussions with parents of children they had identified. He said: “Anti-social behaviour such as we have experienced in the area is disruptive for the public going about their business and causes an unnecessary blight on our communities. “I would stress that the vast majority of young people do not come to attention of Police Scotland and are very responsible citizens. “Unfortunately the behaviour of a small minority, sometimes driven by peer pressure, can have a disproportionately large impact on the wider community. “I would remind anyone involved in anti-social behaviour that they run the risk of gaining a criminal record through their behaviour so please think about the possible consequences before you act. He urged anyone with information to contact police on 101 or Crimestoppers on 0800 555111.